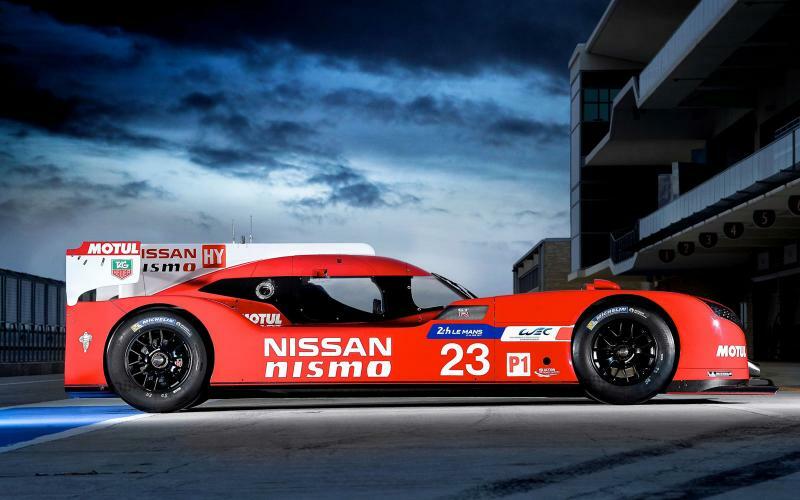 What is set to be a highly competitive 2015 World Endurance Championship has been stirred further by the unveiling of the new Nissan GT-R LM Nismo which will compete in the LMP1 class. The Japanese manufacturer will go head-to-head with the WEC’s top teams, including last year’s champions Toyota, Porsche and Audi, while following on from iconic cars such as the R390 GT1 and the Deltawing project. The Nissan GT-R LM Nismo will have a massive 1,250bhp on tap from its 3.0-litre twin-turbocharged V6 engine that also makes use of kinetic energy recovery system. Surprisingly, the Nissan’s power is put through a five-speed sequential transmission to the front wheels. The method in which the kinetic energy is stored is yet to be decided, but regulations for the LMP1 class allows up for eight megajoules of energy to be used per lap of the Le Mans circuit’s 8.47 miles. Nissan has given the racer a heavy front-end bias for both traction and air flow benefits; not only is the engine hanging over the front wheels but the tyres up front are 14-inches while those at the rear are at nine-inches wide. Weight-wise, the GT-R LM Nismo has to weight a minimum 880kg and Nissan looks to have nailed its mass dead-on this number, with a resulting power-to-weight-ratio of 1,420bhp/tonne. 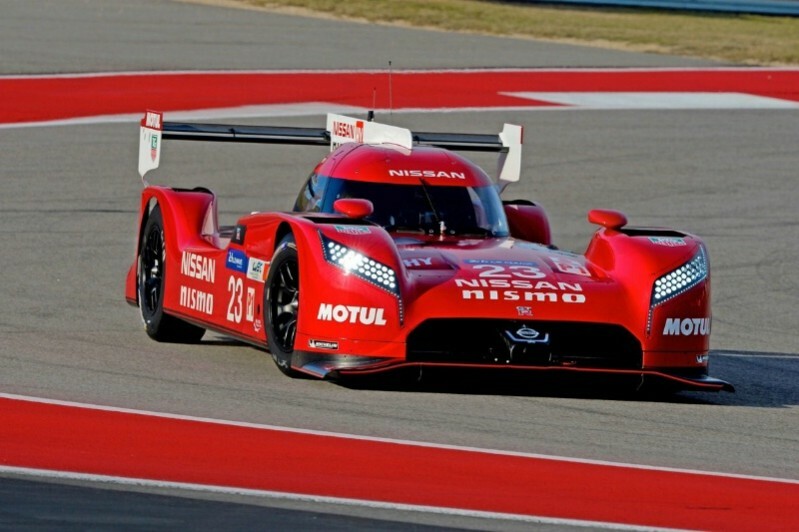 Nissan is currently putting the GT-R LM Nismo through its paces at the Circuit of the Americas in Texas, while the first round of the WEC will take place at Silverstone in April before the 24 Hours of Le Mans itself begins 13 June.